Rudy is a dynamic and forward-thinking, bilingual, bicultural educator with rich experiences in K-20 education. He is currently building a new body of work, as the newest partner at FourPoint, leveraging his demonstrated success in leading collaborative, cross-sector efforts to increase college, career, and life readiness for students across the country. 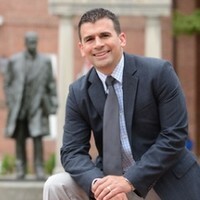 Rudy is anticipating completing his doctorate in education in 2020 as part of Johns Hopkins University’s entrepreneurial leadership in education program.